Put yourself in the Oval Office; twang, you are now the President of the United States; now’s your chance to undo the acts of Congress and curry favor with your base by issuing a presidential order to ignore the laws of the United States. 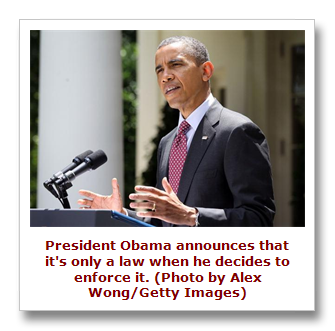 A presidential order to withhold enforcement of a duly enacted law is in itself a violation of federal law. Our founders chose to limit the power of the executive branch by reserving the right to make laws to the representatives of the people. In the wisdom of the framers of the Constitution the only way to avoid an imperial presidency and prevent the people from being subject to monarchical rule was to limit the powers of the president, creating a representative republic with co-equal branches to control a runaway president. The House needs the nod of the Senate and vice versa. The executive branch may sign bills into law or veto them; they may not write them nor choose whether to enforce them. The final say on legislation is always the Congress and only when two-thirds of the members vote to override a veto; these are the checks and balances created to protect the citizens from an unrestrained government. This week the president chose to disregard 236 years of democracy. 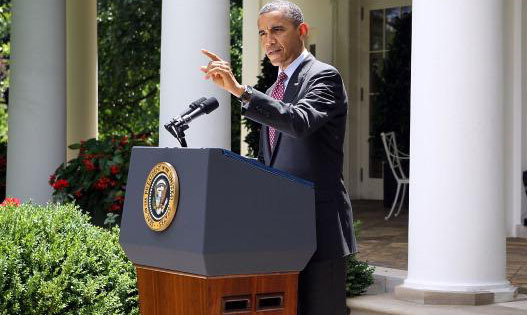 Despite laws on the books, the Obama Administration announced this week, and the president appeared in the Rose Garden to proclaim, that undocumented aliens under the age of 30 who entered the country before the age of 16 would no longer be subject to deportation. 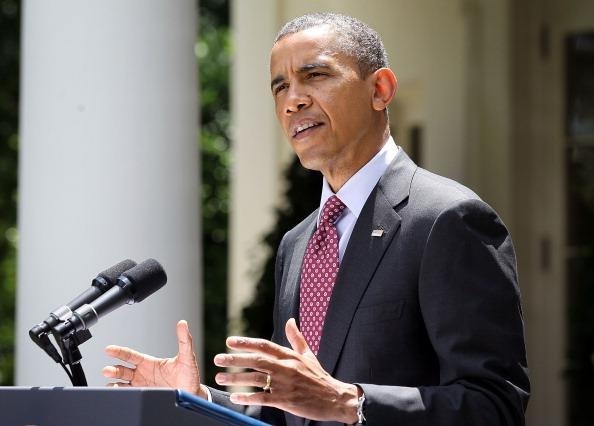 President Obama said that these young adults in the nation illegally would be provided with a work permit so they can seek employment. At a time when 23 million Americans are without work, the president has chosen to increase the job rolls by 800,000 purely for political gain. This was nothing more than a cold and calculated move to solidify the president’s support in the Latino community. Republican Rep. Steve King of Iowa announced his intention Friday to file a lawsuit against the president calling unconstitutional the administration’s plan to stop deporting some young, illegal immigrants who entered the U.S. as children. Homeland Security Secretary Janet Napolitano released a statement Friday stating that those who meet the requirements of entry age, pose no criminal or security threat and were successful students or served in the military can apply for a two-year deferral from deportation. Despite the president’s denials, when he state’s that he will not enforce current immigration laws there is simply no other word for it; it is defacto amnesty. “Americans should be outraged that President Obama is planning to usurp the Constitutional authority of the United States Congress and grant amnesty by edict to 1 million illegal aliens,” King said in a statement. The move is one more in a series of political moves made by a man who has no respect for the laws of this nation unless he deems them “fair,” and only if there isn’t political benefit to be gained. It is not within the purview of the president to pick and choose which laws he will enforce and those that he will not. The president is the servant of the people, not the conscience of the nation. The president cannot legally use federal law to buy votes. This was a win-win proposition for the president: if stopped by a federal court he will proclaim to the Latino community, “I tried to help you, but those evil Republicans stopped me.” If upheld by the courts he will say, “Look what I’ve done for you.” It is the most cynical and politically motivated misuse of the presidency since the Watergate Scandal. Fortunately the Latino community is much smarter than Mr. Obama thinks and they will see right through this ploy because unlike his “most transparent administration in history” this bit of campaign tomfoolery truly is transparent.